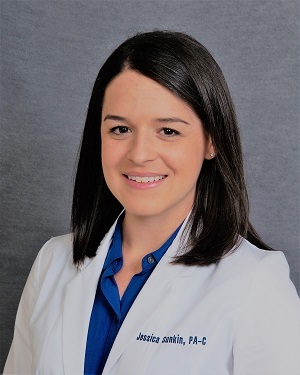 Jessica received a Bachelor of Science in Biology from James Madison University in 2009 and graduated as a Physician Assistant from The George Washington University in 2012. She currently resides in Reston and works in the emergency room at Reston Hospital Center. Previously, she worked in the emergency room at Prince George’s Hospital Center and in the medical unit at U.S. Embassy Beijing while her husband was employed overseas.